As a holiday destination, Queensland really does have it all. Although famous for its theme parks and numerous family-centric tourist spots, Queensland also boasts some of Australia’s most magical places of natural beauty. 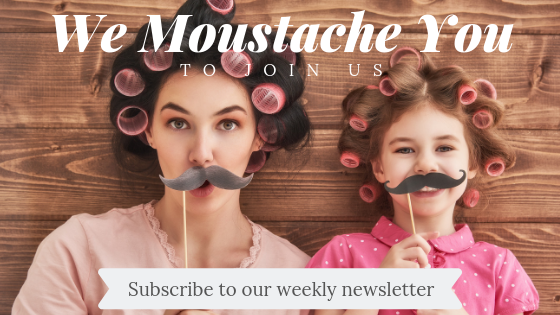 If you and your family are keen to take a break from the crowds and technology and reconnect with nature you can’t go past a visit to Queensland’s Sunshine Coast. We would recommend booking into family-friendly accommodation in a central location that allows you to explore the natural beauty spots that this area has to offer. A serviced apartment is great for families, with tons of space for everyone and all the facilities you have at home, like a kitchen and laundry. 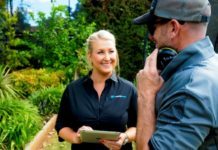 Book Twin Waters accommodation to experience that home away from home feeling, and be located in perfect range of all our top spots. With so much to see and do, a day trip simply isn’t long enough. 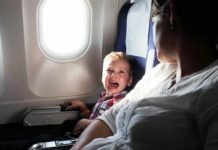 So, slop on the sunscreen, slap on a hat, and pack some snacks and bottled water – because you are going to need it where we are going! We’ve put together a list of the four most natural beauty spots that you simply MUST visit on the Sunshine Coast. 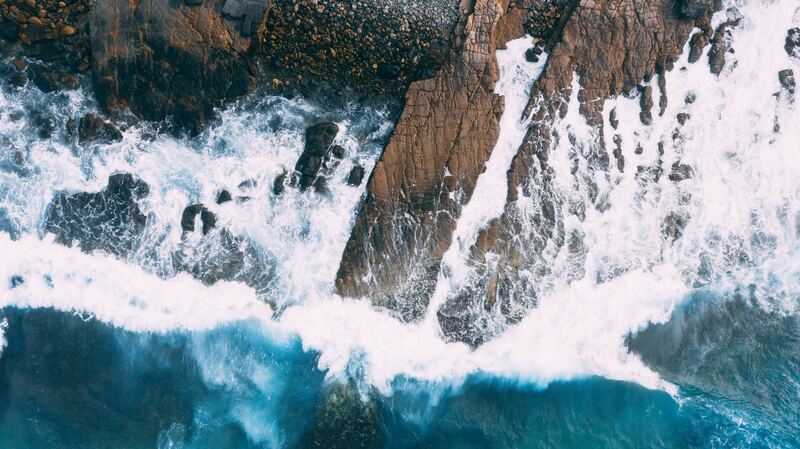 Spanning more than 4,000 hectares, Noosa National Park is a national natural treasure that boasts breathtaking coastal scenery, woodlands, rainforest, and wetlands. 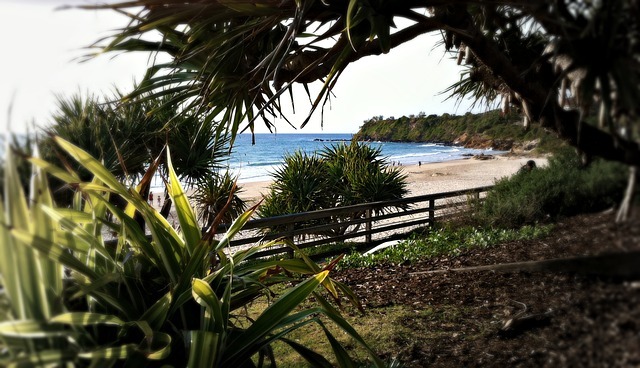 The diversity of Noosa National Park makes it the perfect place to enjoy native wildlife. Let’s face it, there can’t be to many places where you can spot dolphins frolicking in the surf on one side, and koalas snoozing in the trees on the other! In fact, the park is extremely important for nature conservation and is home to several rare and threatened species. Unsurprisingly, the Noosa Heads Coastal Track is one of the most popular walking tracks in the Noosa National Park. The good news is that some of the walking tracks are easily accessible for wheelchairs and prams. We recommend arriving early in the day and heading to the Noosa National Park information hut, where friendly staff will be only too happy to share any recent wildlife sightings with you so you know where to look, as well as details on the best tracks that will suit your family. 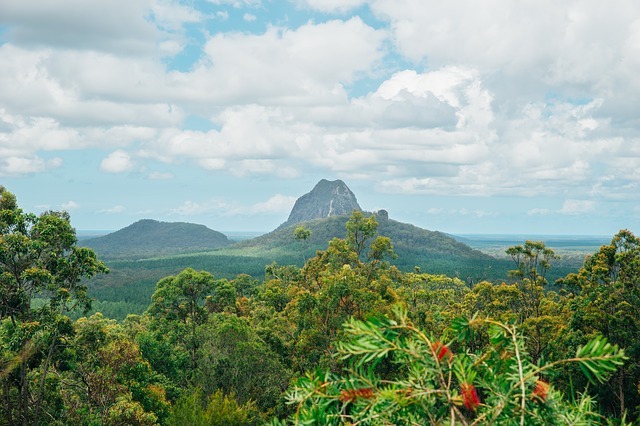 Iconic landmarks of the Sunshine Coast, the Glass House Mountains are remnants of volcanic activity that occurred 25 million years ago. 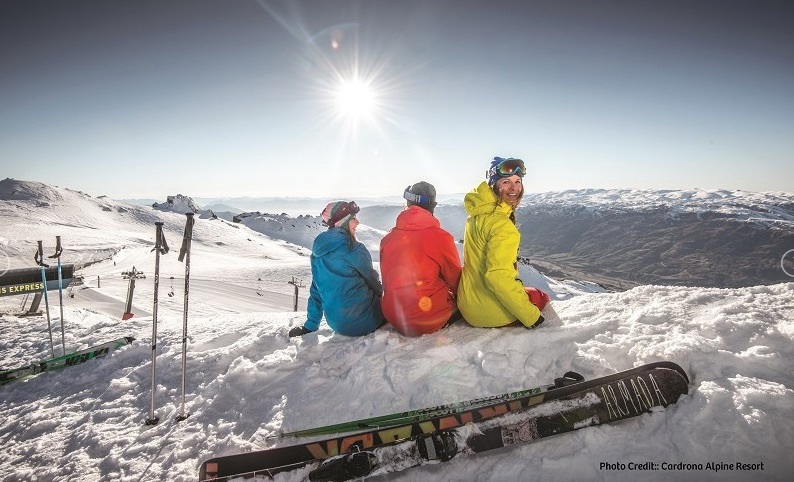 These days they offer locals and tourists the opportunity to enjoy spectacular 360 degree views of the region. 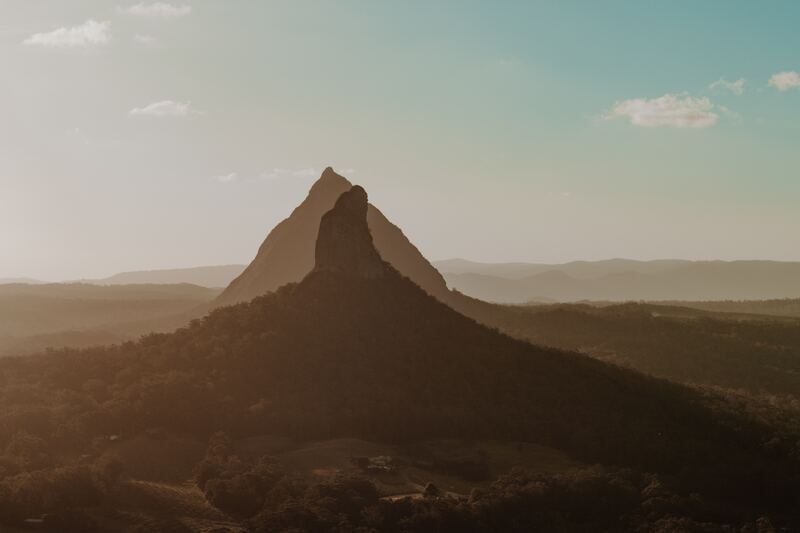 The most notable peaks are Mount Beerwah, Mount Tibrogargum, Mount Coochin and Mount Coonwrin, all of which offer bushwalkers and hikers the chance to explore and enjoy the natural beauty of the Sunshine Coast. But for families setting out with children we’d recommend tackling Mount Ngungun. The walking tracks of Mount Ngungun are well maintained, a walk to the summit and back down takes around two hours, a little more if you stop to rest or appreciate the local wildlife and scenery. Keep your eyes peeled for koalas, kangaroos, echidnas, goannas and a variety of different birds such as kookaburras, lorikeets, cockatoos, peregrine falcons, and maybe even a black cockatoo. We recommend visiting the Glass House Mountains Visitor and Interpretive Centre to pick up a map for your trip, and that all-important toilet stop before you set off on your adventure. Rising 208m above the Sunshine Coasts lowlands, Mount Coolum’s dome shaped summit offers families the chance to enjoy 360 degree views of the areas coast and hinterlands. Unlike some of the Noosa National Park tracks, this walk isn’t suitable for wheelchairs or prams due to the steep stone steps. A moderate fitness level is required for this hike, and we don’t advise tackling it during wet weather as the stone steps can become slippery. But, the magnificent view is well worth the 1.5 hour round trip. You might need a nice refreshing swim at Coolum Beach after the 1.6km round trip to the top of Mount Coolum. If a day of rest and relaxation is more your pace though you’ll be pleased to know you don’t have to pull on your hiking boots in order to appreciate the natural beauty of the Sunshine Coast. 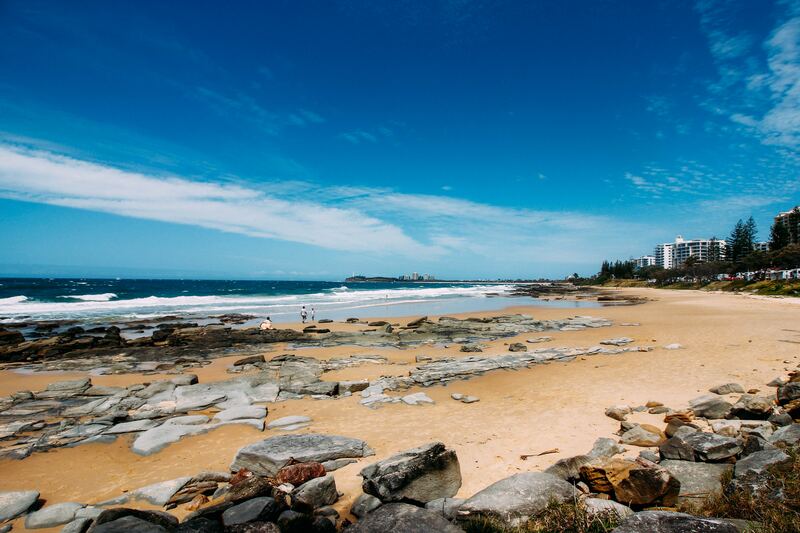 Mooloolaba Beach is one of the most Instagrammable spots on the Sunshine Coast and has been featured in numerous top beaches in Australia lists, and for good reason. Mooloolaba Beach’s gentle break, clear waters and golden sand make it the perfect place to set up your sunshade and enjoy some quality family time together, away from the hustle and bustle of ordinary life. 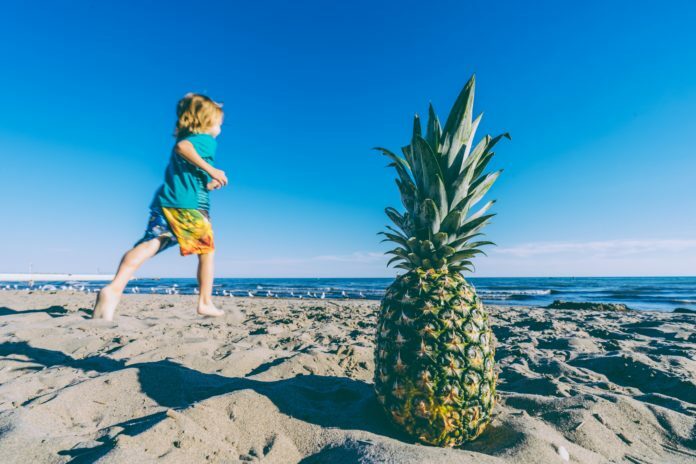 The beach is patrolled every day of the year by lifeguards and has small waves making it a particularly safe option for young families. We recommend packing some food to cook on one of the picnic BBQ’s in the parklands that overlook the beach while the children let off some steam in the playground. If you’ve had a big day and just want to wander back to the comfort of your serviced apartment, we wouldn’t blame you. Cook from the comfort of your home away from home and enjoy a family meal together just like you would any regular weekday at home. Where is your favourite place to go on the Sunshine Coast with your family? Previous articleSpray Tanner Wanted To Charge A Woman More Simply For Being A Size 12! 8 Reasons Why This Girls Holiday May be Good for Your Health! Serious!